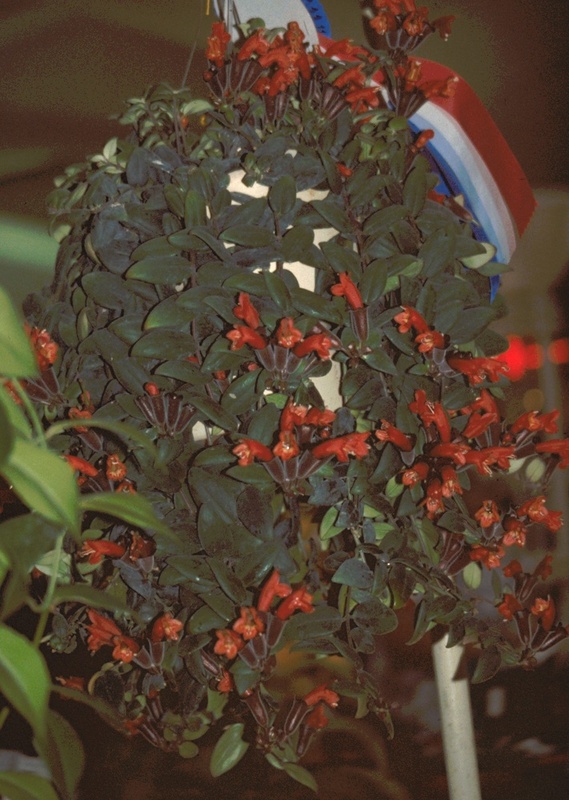 This form of the species A. pulcher has historically been referred to as A. lobbianus in North America. 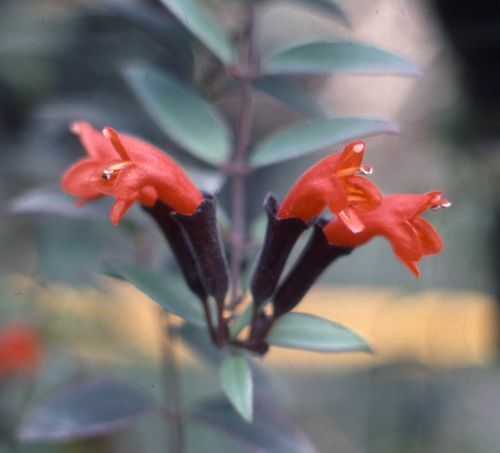 Several species names have been synonymized with A. pulcher, including two species widely grown under their original names of A. lobbianus and A. radicans. 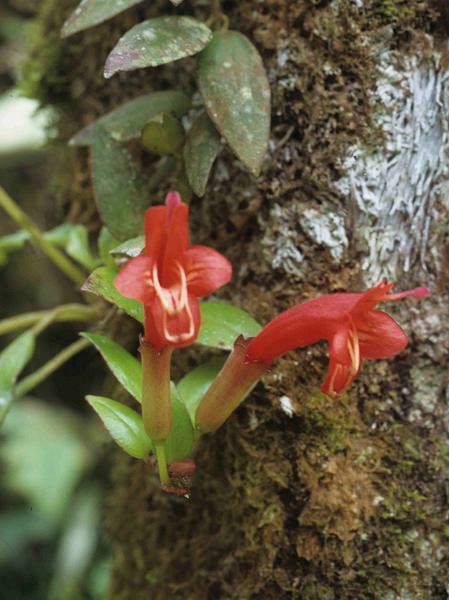 Other species names that have been synonymized under A. pulcher include A. boschianus, A. javanicus, A. lanceolatus and A. parvifolius, among others. 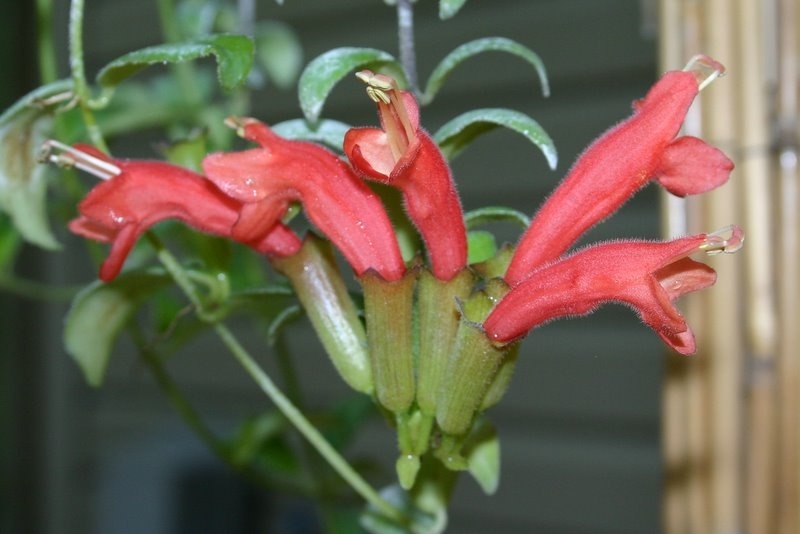 This is the species to which the common name of “Lipstick Plant” is appropriately applied. 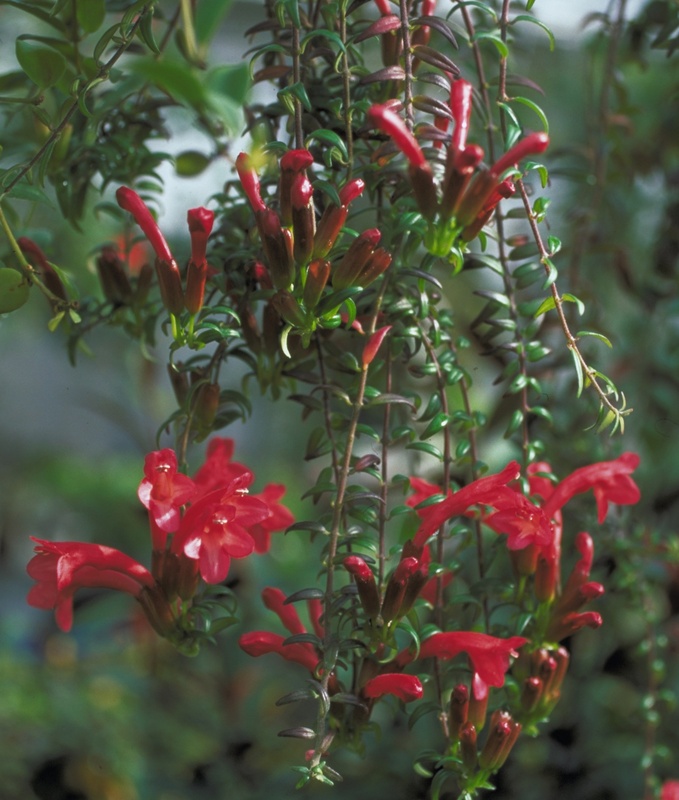 The name derives from the appearance of the bright red buds emerging from the dark maroon tubular calyx — just like a lipstick emerging from its tube. 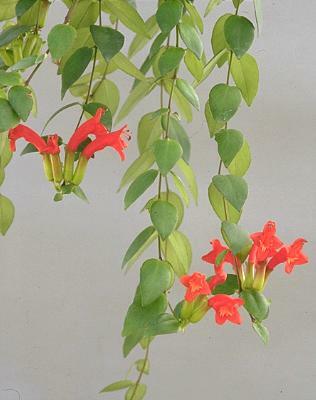 There are other Aeschynanthus (e.g. 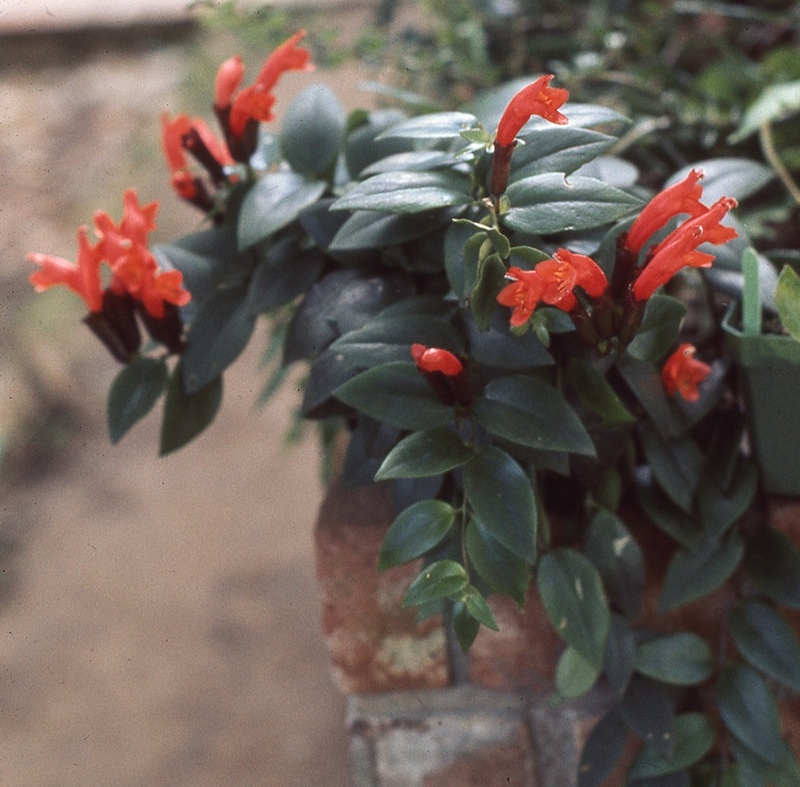 A. curtisii, A. siphonanthus) with a similar effect, but the name has come to be commonly applied to all Aeschynanthus, even those that bear little resemblance to A. pulcher. 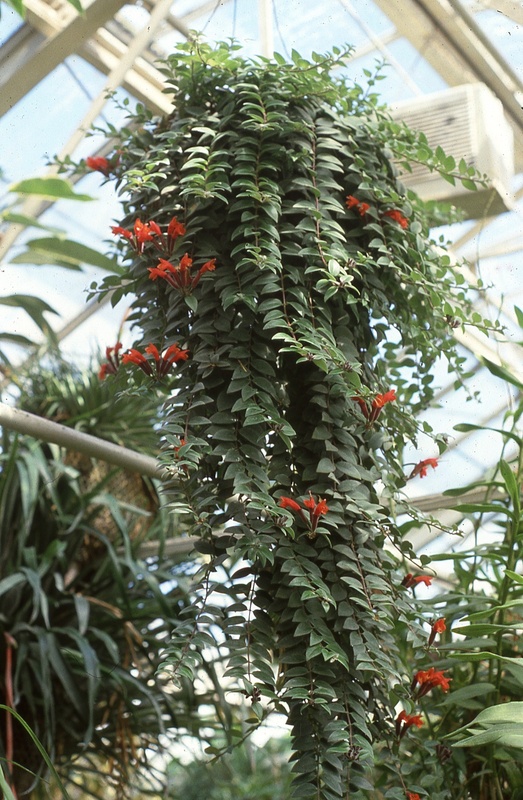 The leaves of A. pulcher are quite heavy and succulent, and for this species and others with similar foliage, it is important to allow the soil to get fairly dry before watering. 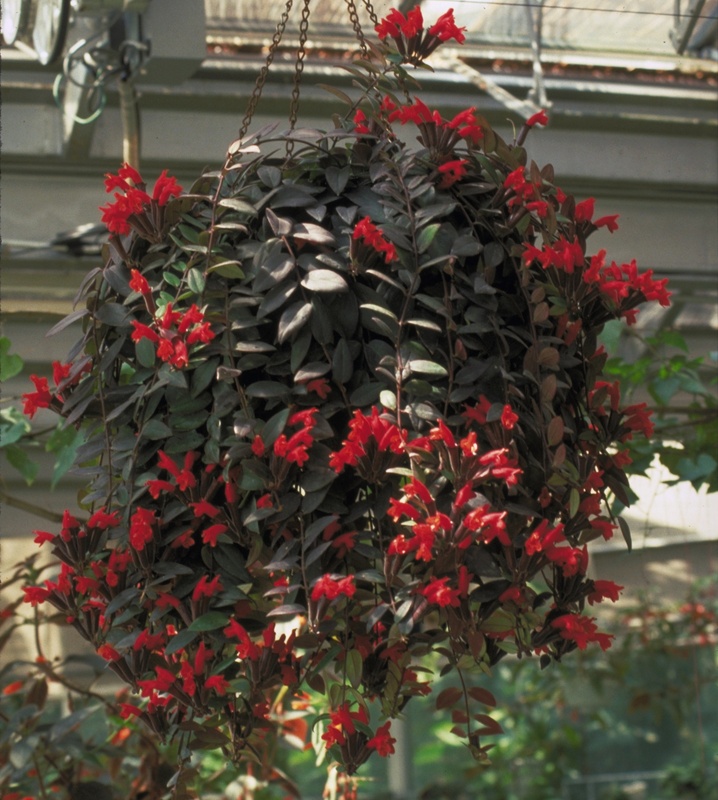 Like many Aeschynanthus, A. pulcher delights in being outside in the summer, in dappled shade or even full sun for part of the morning. 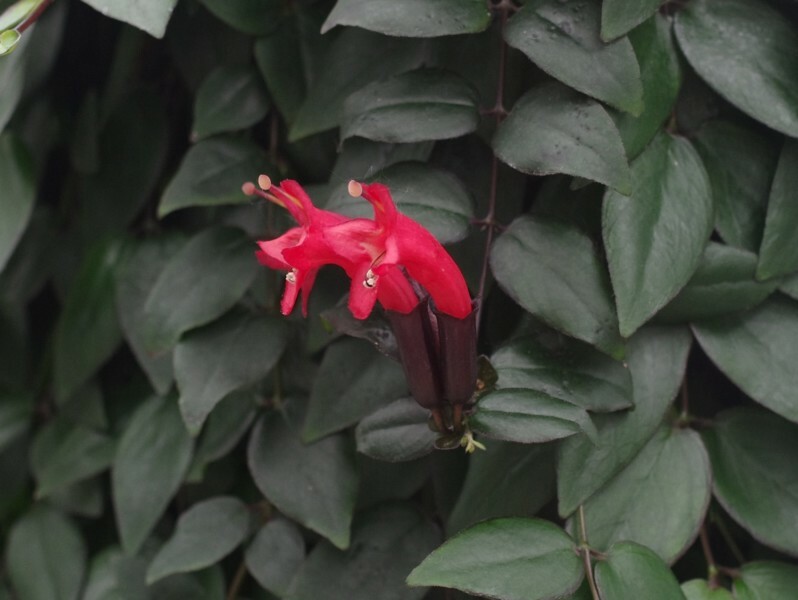 An antique botanical print beautifully captures the essence of this attractive species. A small plant grown outside during a Cape Cod summer. 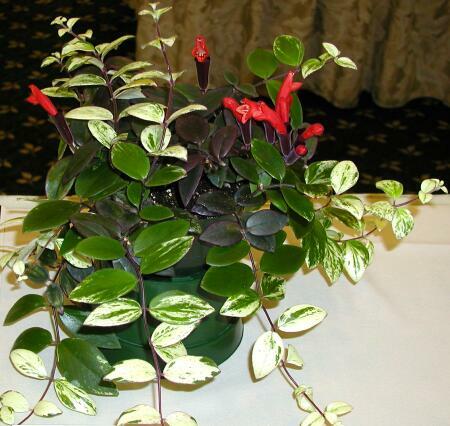 A form with variegated leaves.